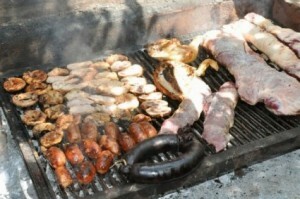 So what really goes into the world famous Argentine asado achuras? 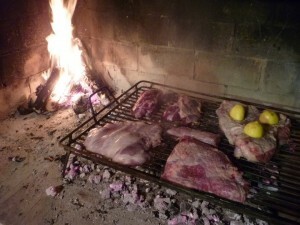 The asado as it is known, really is as good as it is made out to be. However a lot of people will be surprised to learn that thick steaks are not on the menu, but it is well prepared offal that takes center stage. 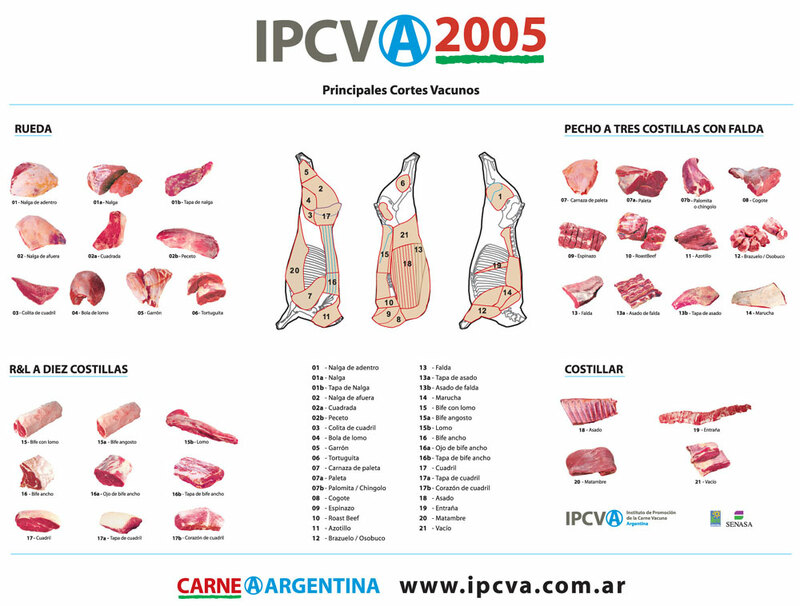 There are a few key parts to get right for an asado to reach the heights we experienced when we were taught in Mendoza by our friends. They have an asado pretty much every week and really are the best “asadors” that I have met. That crown was given begrudgingly as I am very proud of the BBQ that I cook regularly. However with the well prepared meats and the wood fire. This really is another level. 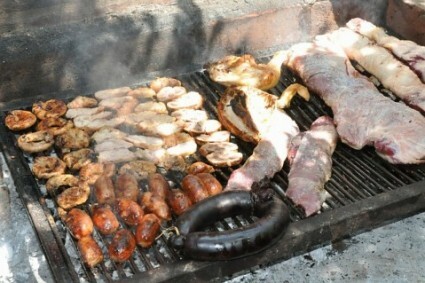 The meat element of the asado relies heavily on offal in particular kidney and sweetbreads, which are hugely popular with just a simple rub of oil and salt. 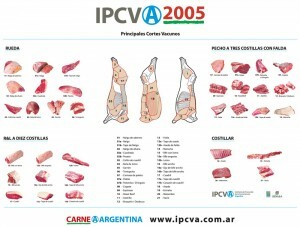 Cheaper cuts of meat like the “entrana”or skirt steak (lower abdomen below the ribs to the stomach) and the shank (leg and shoulder). These deliver more flavour than meat nearer the spine (tenderloin) as it contains more fat through being worked more and if cooked well with a little salt and lemon added at the right time, on the right heat that suits the cut of meat so the fat is well rendered tastes fantastic. Make a fire for the asado achuras (ideally with wood, which you can pick up from petrol stations or forage from the forest- but check to ensure you pick the right wood for cooking available in our book with more details) in the corner of a BBQ. The Argentines have a good system that involves making a fire on a steel lattice with 4cm wide squares that is positioned in one corner but on the same level as where the food is cooked. As the fire burns down and embers or “la brasas” in Argentina fall through the lattice onto the same level as the other cooking coals and are moved to where they are needed before the fire is restocked. This means a constant supply of embers to cook with and eliminating the need to pour more fuel directly onto the fire which leads to coal dust or ask to be thrown up onto the cooking meat. This is bad form.When the embers are hot to the point where you can hold your hand 30 cm away from them for 5 seconds before the heat becomes unbearable, you know you are ready to cook! Ensure the embers are evenly spread out, while one small area of the grill should have a reduced amount of embers in case one of the meats needs to slow its cooking rate down. First add the ribs and turn them regularly to ensure they are cooked through while watching they do not burn. Add a light sprinkle of salt 5 minutes before they have finished cooking on both sides. A few hours before cooking cut the lemons in half and squeeze one out on to a tray. Pour a little oil over that and place the entraña on that, fat side up. Squeeze over the juice from the other lemon with a little oil over that to cover the top. Leave to marinade for at least a few hours if possible for the acid in the lemon juice to tenderize the meat. Immediately after the ribs turn the steak around and ensure it is well covered with the lemon juice and oil, then add it to the grill, so the fat side is facing down in the fire. This protects the meat from drying out. Pour the lemon juice over so the skirt steak is covered in juice and then place the skins on top. Leave the skirt on the fire for 15- 20 minutes, until when you make a hole with a fork clear juices come out, checking the fat turns crispy but does not burn. For the last 5 minutes remove the lemon and turn over and lightly sprinkle with salt. Asado achuras isn’t complete without kidney. As all the other meat is cooking cut the “rinon” or kidney in half. Peel off any outer membrane and cut out the tube that enters the center of the kidney plus the fatty membrane that joins the pipe to the kidney (this is tough to eat). cover in oil. Add the kidney so the outside half is facing down first. Cook this for 5 minutes, sprinkle with a little salt and then turn over internal side facing down before sprinkling a little salt on the other side. Cook for a further 5 minutes before serving. Cut the courgettes into 3 strips length ways and place into a bowl or plastic container containing the oil, salt, pepper and parsley. Cut the onion in half and separate the segments before also adding hem to the oil mixture. Toss around to ensure all the vegetables have been coated in oil. Cook for around 4 minutes on each side so they retain a slight crunch in the center, while taking on colour on the outside. Before serving the asado achuras place a metal tray near the fire so it warms and when the meat is cooked leave to rest each for around 5 minutes with the exception of the ribs, which can be served immediately. Cut the ribs into Serve each person a kidney half.